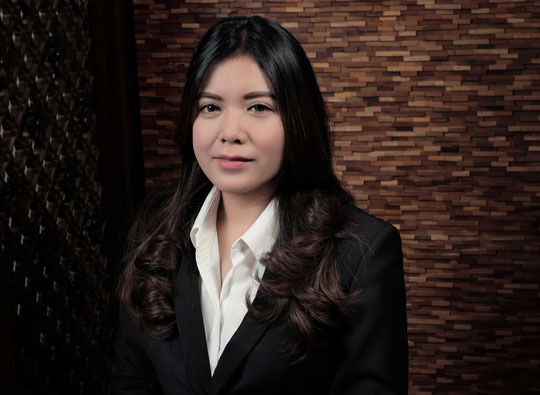 Chantika is a corporate and commercial lawyer at Brigitta I. Rahayoe and Partners. Chantika works on a broad range of corporate and commercial matters and assists both Indonesian and foreign clients. She has experiences in advising multinational clients with respect to general corporate and commercial matters, merger and acquisition and employment. Chantika obtained her law degree (Sarjana Hukum) from Airlangga University, Surabaya, Indonesia, in 2013. She speaks Bahasa Indonesia and English. Chantika has completed the Advocate Profession Special Education Program (Pendidikan Khusus Profesi Advokat – “PKPA”) and passed Advocate Profession Examination (Ujian Profesi Advokat – “UPA”) in 2014.